Suunto is the world's leading brand of sports watch. Navigation watches have proven so accurate, easy to use and useful, they are becoming standard issue for adventure sports. There are several lightweight models to choose from, with various combinations of chronometer, altimeter, barometer, electronic compass and heart rate monitor. GPS watches Download an Suunto GPS watch comparison. Ambit3 watches Download an Ambit3 comparison. 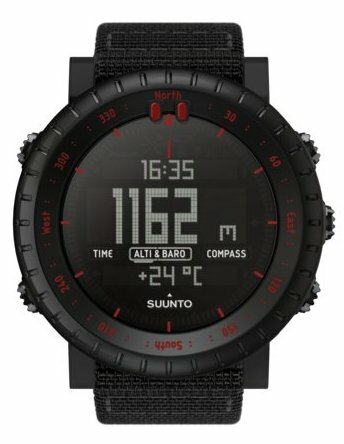 Other Suunto watches Download a comparison for Suunto watches other than Ambit3. Click here for a list of Suunto accessories.